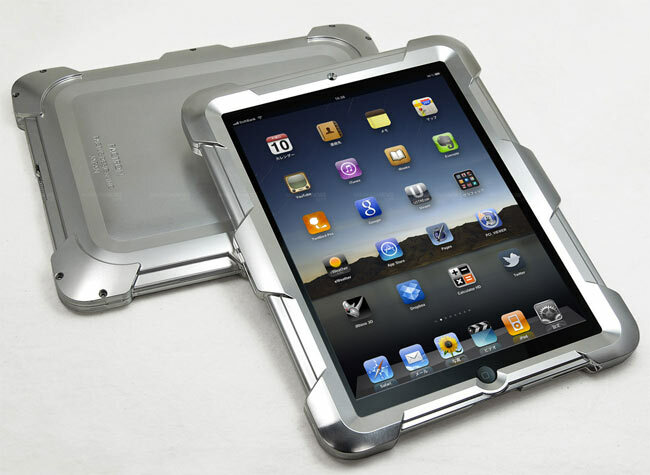 If you are looking for an iPad case with a slightly different feel and look you might like to check out the new all aluminium case launched by Factron this week, called the High Defender case for iPad. Otherwise know as the HD for iPad the new case has a reinforced structural design to it and moulded design to provide a lip for extra grips around it edges. Its also been designed to avoid and interruption to your iPad’s 3G or WiFi connectivity. The new Factron Aluminium iPad Case is now shipping in Japan for a whopping 55,000 Yen around $659 and is available in limited quantities.